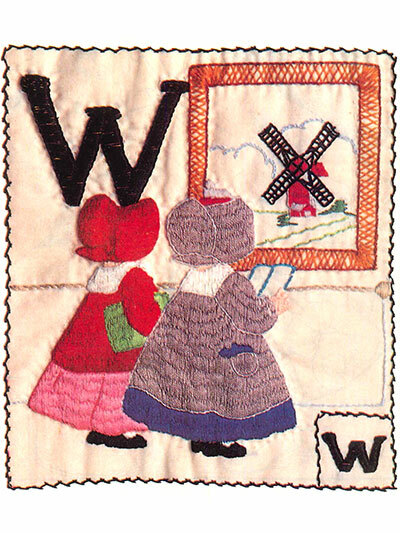 A vintage pattern book to combine your love of the traditional with modern day! 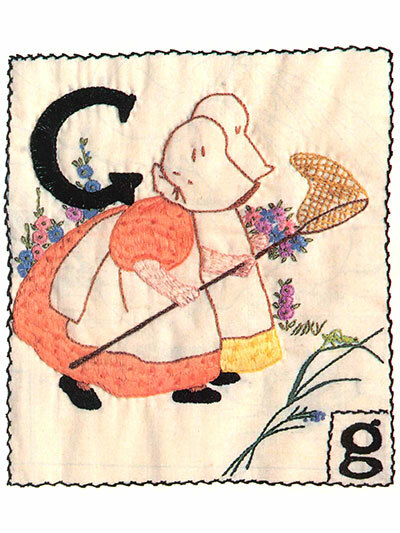 This precious Sunbonnet Sue book was originally published in 1990, and we've brought it back for a whole new generation to delight in! 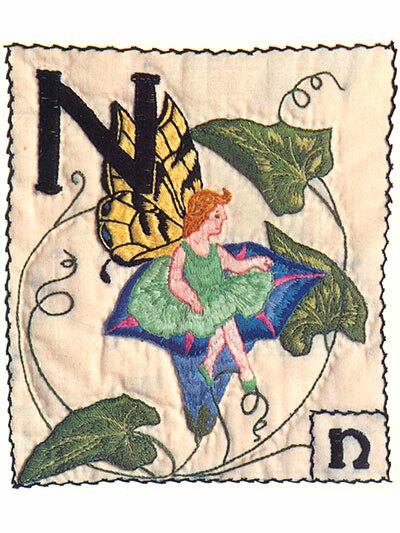 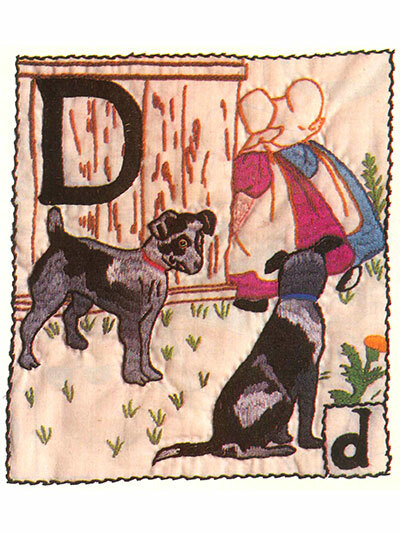 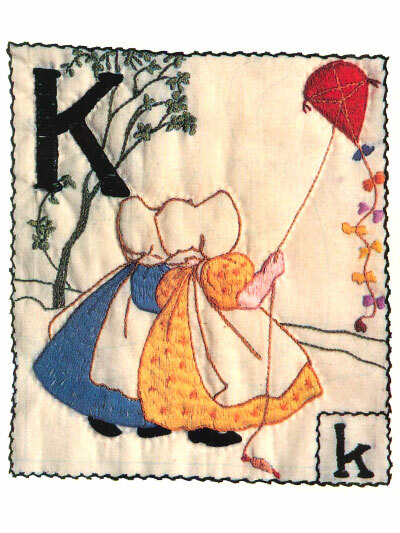 Each block is quilted and embroidered, creating a unique and lovely look. 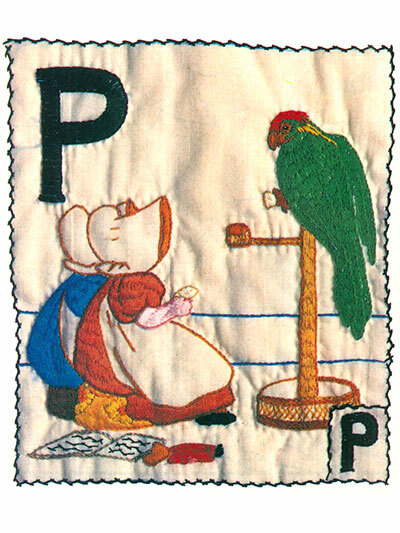 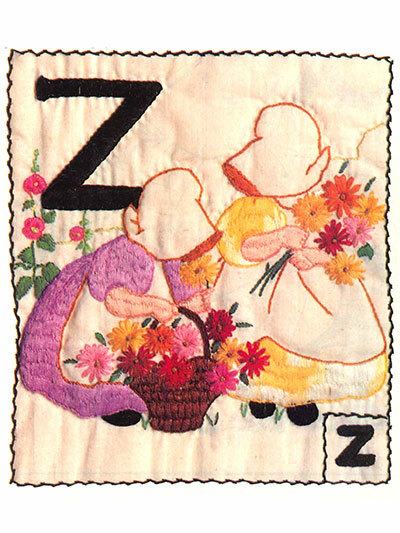 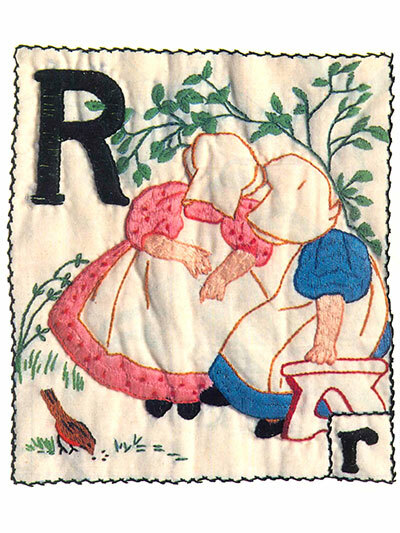 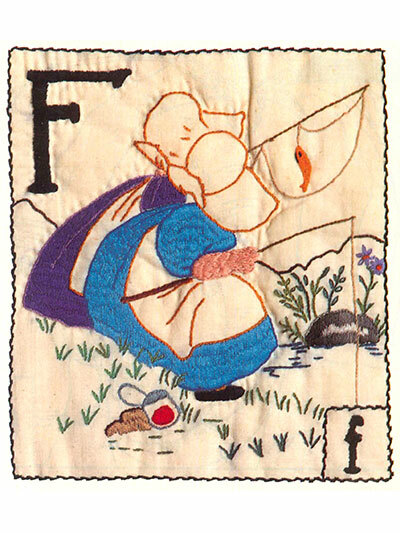 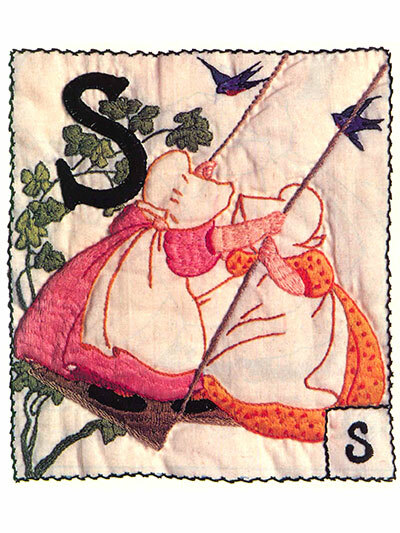 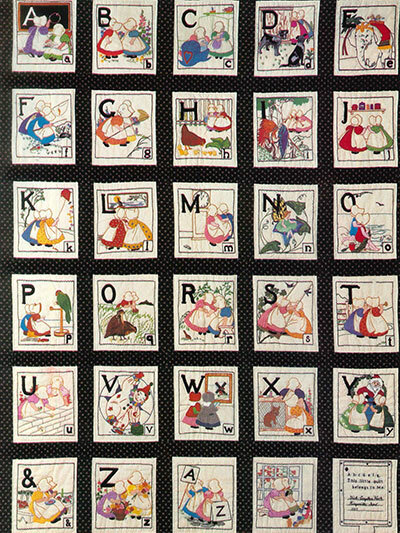 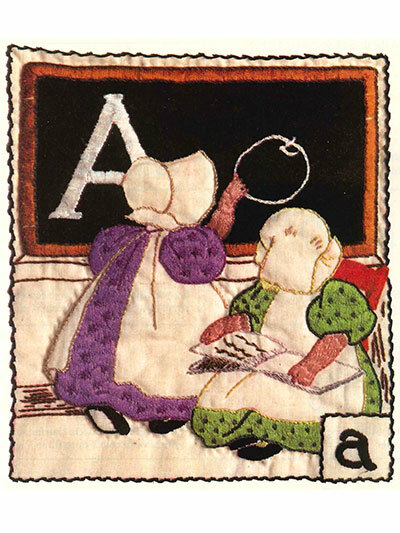 Included are full-size templates to make your very own Sunbonnet Sue Alphabet Quilt -- there's a pattern for all 26 letter, plus an A to Z block, classroom block and signature block. 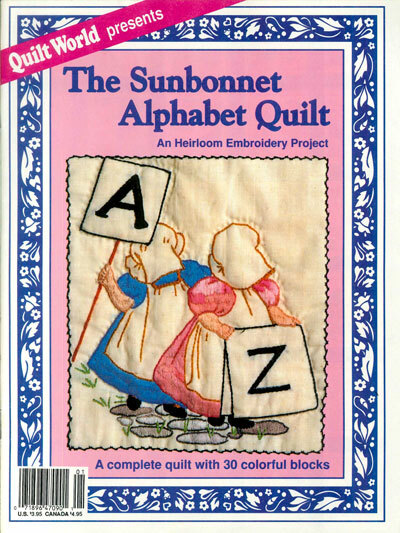 Discover why Sunbonnet Sue and all her sisters have stood the test of time and have been loved by so many.